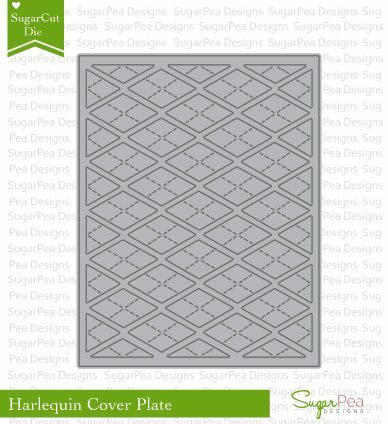 Hey there, SugarPea Designs fans! Fall is just around the corner and we are bursting with excitement over all of the new products we are introducing as our 2016 Fall Product Release. Join us for our last day of release peeks at the 12 NEW products that will be available for purchase TODAY... Friday, August 26th at 6PM EST in the SPD Store. We promise that each day will be full of inspiration, and as always, you'll have a shot at winning one of our FIVE GIVEAWAYS! All you need to do is leave a comment for your chance to win! 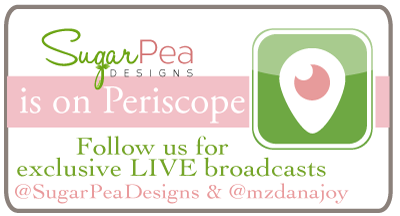 And you don’t want to miss all of the fun we are having on Periscope (download the app from iTunes) and Instagram. We are doing EXCLUSIVE giveaways you will only find there, so be sure to follow us and ask your friends to follow us for even more chances to win some SPD goodies. 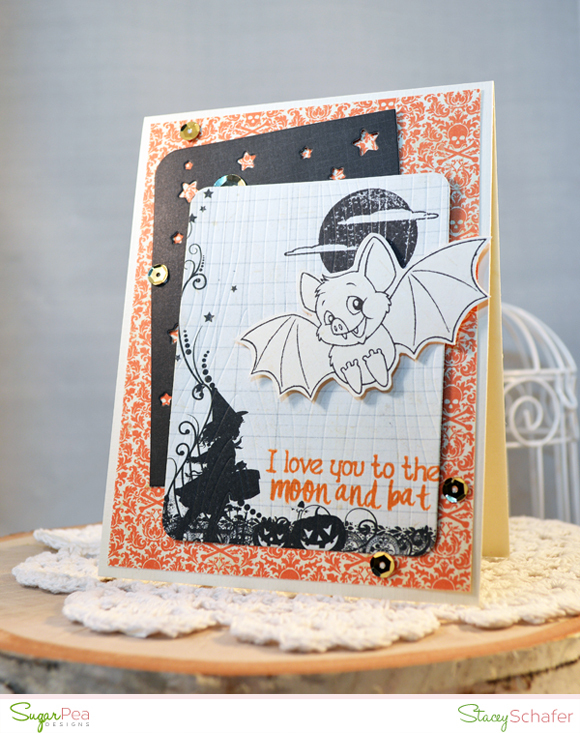 Today, we're introducing another new Halloween product! 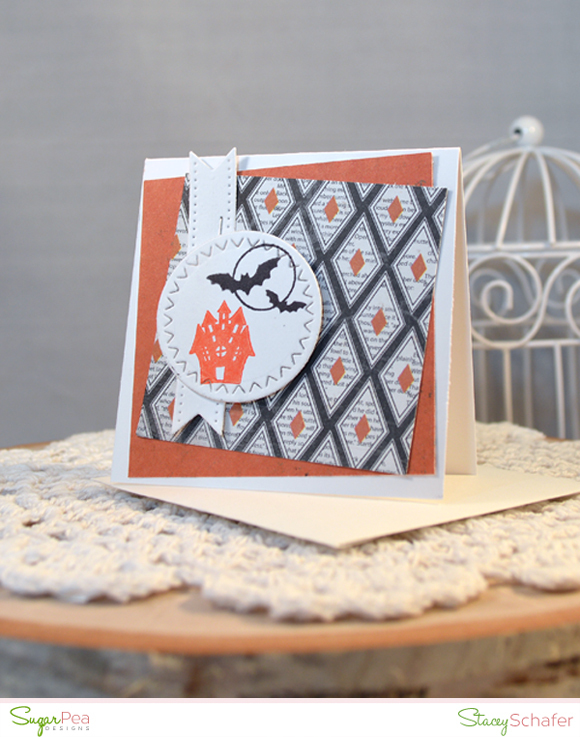 For this trio of mini Halloween cards, I stamped several of the fun images from Sweet Treats - Halloween over some Zig Zag Stitched Circles and layered with some Halloween themed papers and Gift Tag banners. 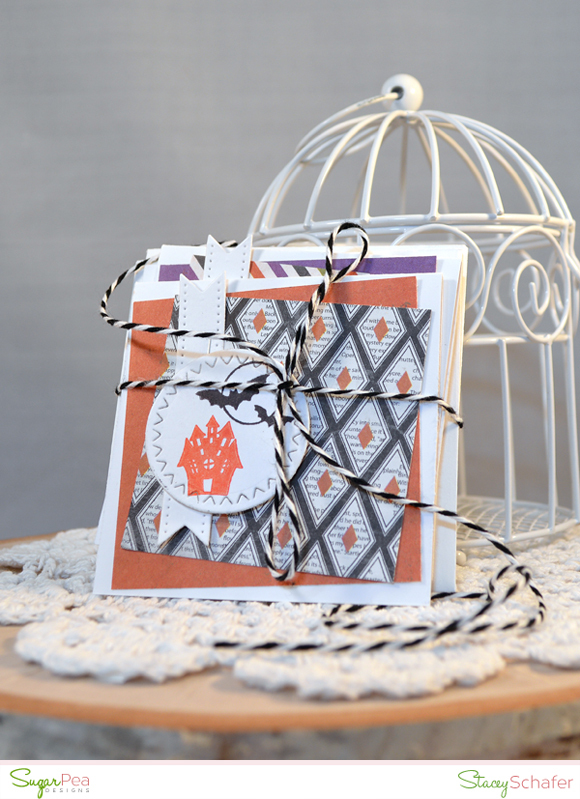 Here are the three cards wrapped up some baker's twine. 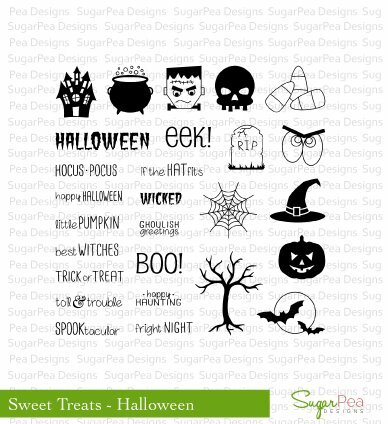 Would you like to win the Sweet Treats - Halloween stamp set? All you need to do is leave a comment on the SPD blog. It's THAT easy! You have all week to comment! Winners during our Fall Product Release will be announced on Sunday, August 28th. Our team has some amazing creative inspiration for you using the products we are introducing today. Visit each of their blogs and leave a sweet comment for them, giving you an extra entry to win today's giveaway prize. Visit the SPD blog for details and for a list of participating designers. Have a great SPD shopping day! Welcome back to Day 4 of our Anni-VERVE-sary Spotlight Hops! It's an exciting day as there's new Verve in the store this morning! 2 beautiful new sets, 3 die sets and a sequin mix just released and they're all available to order right now. 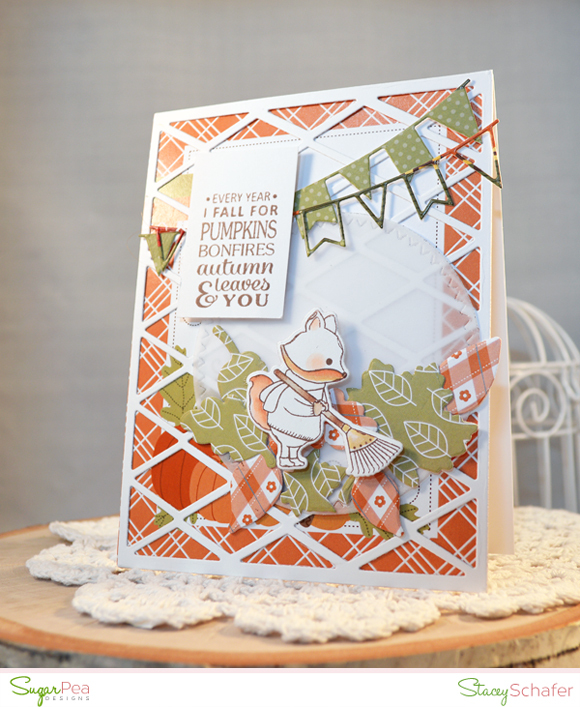 To celebrate our new release, we're putting on another blog hop! 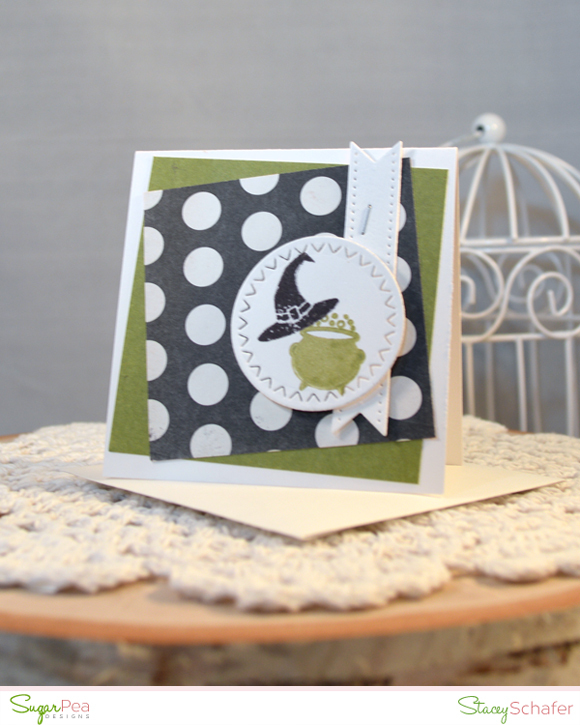 Today's featured focus is designer's choice, so you might just sneak a peek at a whole bunch of must-haves! 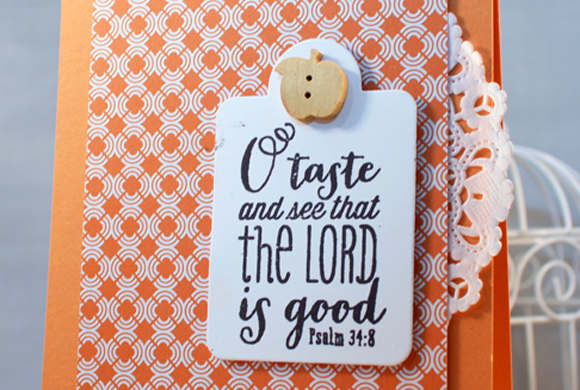 What an awesome Scripture Medley 4 stamp set...all of my favorites in one set! I needed a little back to school teacher gift, so this worked great to send with a caramel apple! 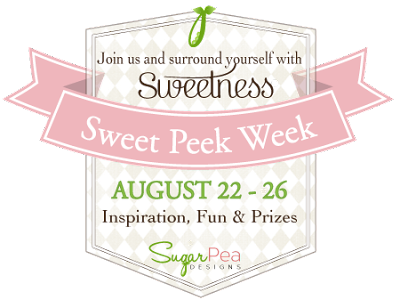 We hope you’ll join us here over the next few days as the SugarPea Designers and I share Sweet Peeks for the 12 NEW products that will be available for purchase starting this Friday, August 26th at 6PM EST in the SPD Store. Today, we're introducing a new Halloween product! 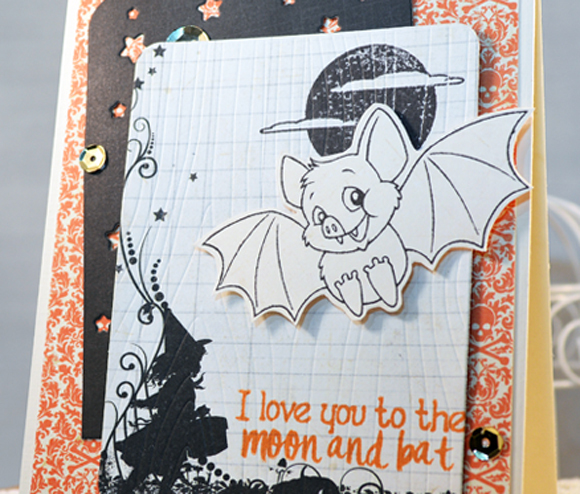 I stamped Fang-Tastic's adorable bat and fussy cut him to display over the stamped moon/clouds and layers of Woodgrain Journal Card and Scattered Stars Journal Card. To finish off the card, a sentiment and a few gold sequins were added for some shine and whimsicality. 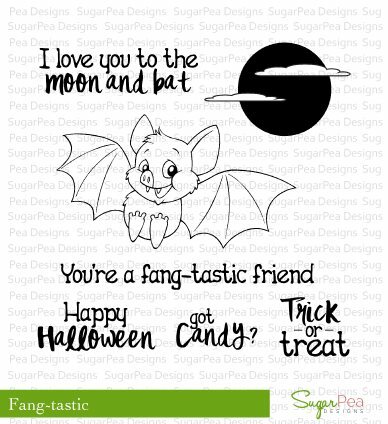 Would you like to win the Fang-Tastic stamp set? All you need to do is leave a comment on the SPD blog. It's THAT easy! You have all week to comment! Winners during our Fall Product Release will be announced on Sunday, August 28th. See you right back here tomorrow for more peeks...and...shopping day! Welcome back to Day 3 of our Anni-VERVE-sary Spotlight Hops! The Verve Divas and special guests are back for another day of spotlighting our new release! Everything previewed this week will be available to order in the Verve online store on Friday, August 26. 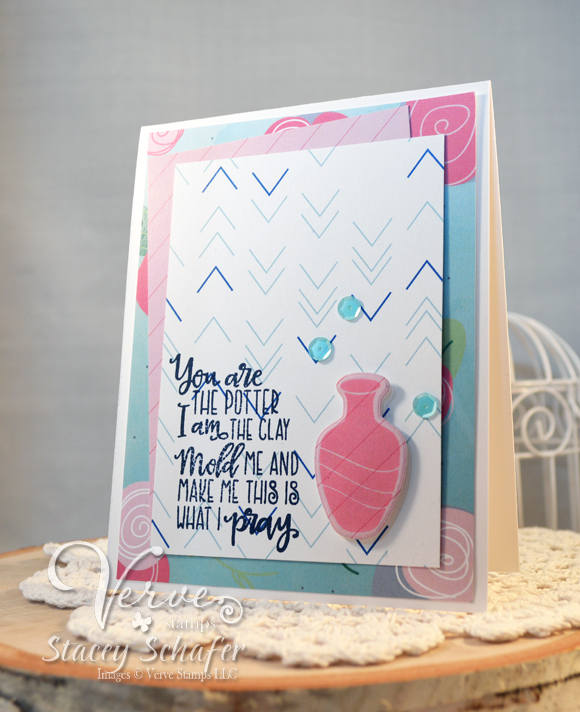 Today we're sharing our first projects featuring the Potter's Clay stamp set and coordinating, Pottery Die Set. 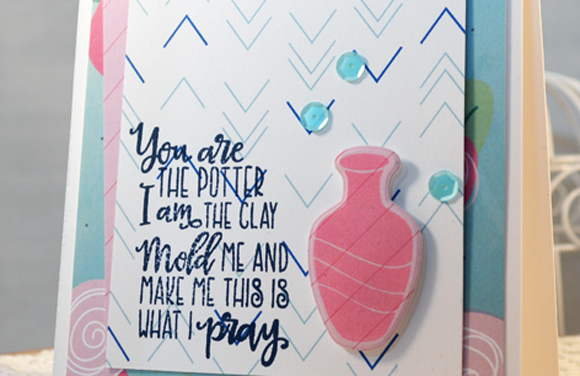 I stamped that beautiful vase from Potter's Clay stamp set and die cut using the coordinating Pottery Die Set, stamped the faith-themed sentiment over some pretty paper and sprinkled a few sequins to finish off this simple and uplifting card. See you for a recap on our new release! 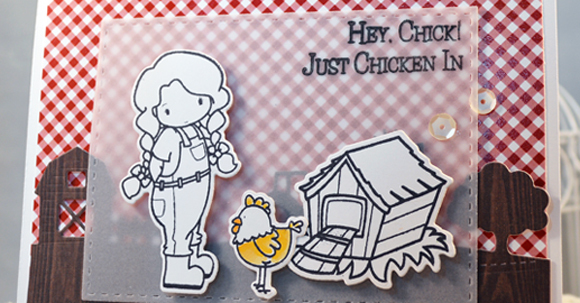 Today, We're introducing THREE new products! Okay, no really! Isn't this fox just the cutest one you ever did see?! 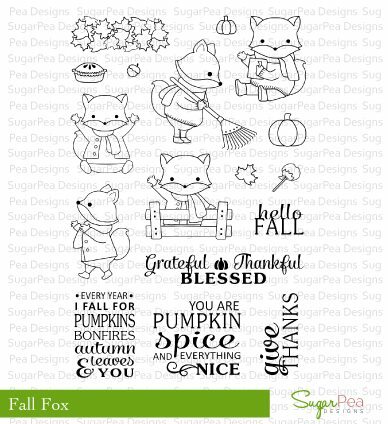 I'm absolutely smitten by this new stamp set, Fall Fox, illustrated by Becky Pearce! 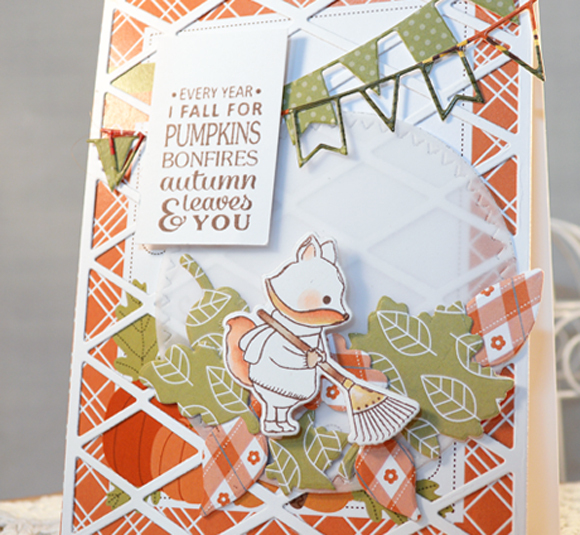 I stamped, Copic-colored and die cut the raking fox from the new Fall Fox stamp and die set, then displayed her over vellum Zig Zag Stitched Circle and among many Lovely Leaves cut from our new patterned paper! The Party Banner Duo is hung over that amazing new Harlequin Cover Plate background and some of our new Country Charm paper peeking through! 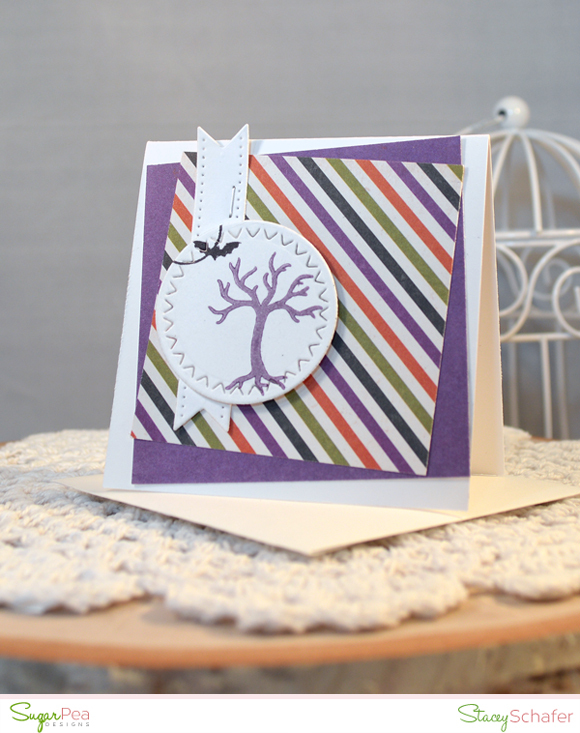 The sentiment tag was inked up and placed over the banners to finish off the card. 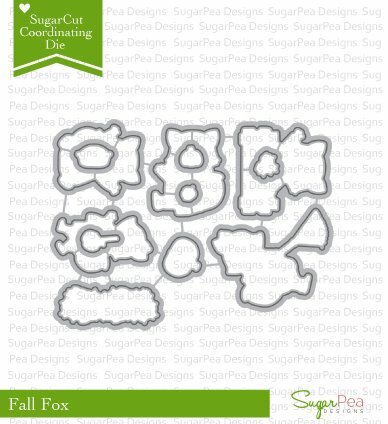 Would you like to win the Fall Fox stamp set? All you need to do is leave a comment on the SPD blog. It's THAT easy! You have all week to comment! Winners during our Fall Product Release will be announced on Sunday, August 28th. See you right back here tomorrow for more peeks! Welcome back to Day 2 of our Anni-VERVE-sary Spotlight Hops! The Verve Divas and special guests are back for another day of spotlighting our new release! Everything previewed this week will be available to order in the Verve online store on Friday, August 26. 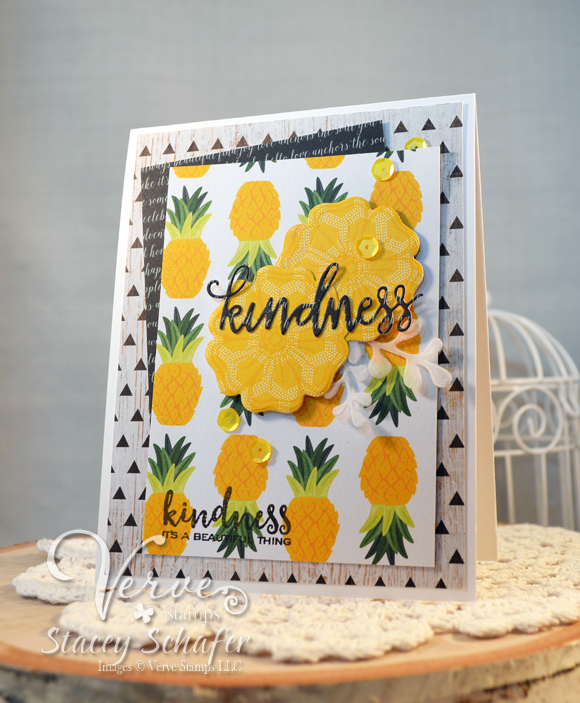 Today we're sharing our first projects featuring the Kindness Matters stamp set and coordinating, Great Kindness Die Set. What gorgeous new florals to create with! 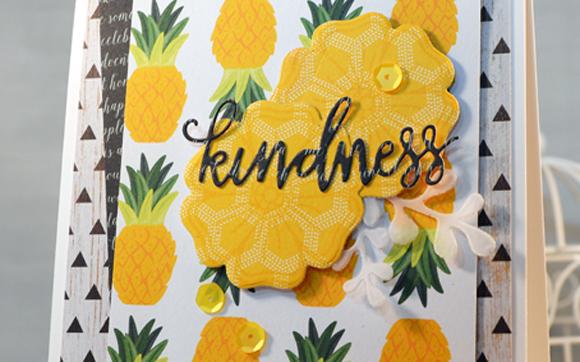 I stamped the florals from the Kindness Matters stamp set for a tone-on-tone effect and die cut them and the vellum leaves with the coordinating Kindness Matters Die Set. The sentiment and word die cut were added to the front panel and some sequins placed here and there to finish off this layered creation! 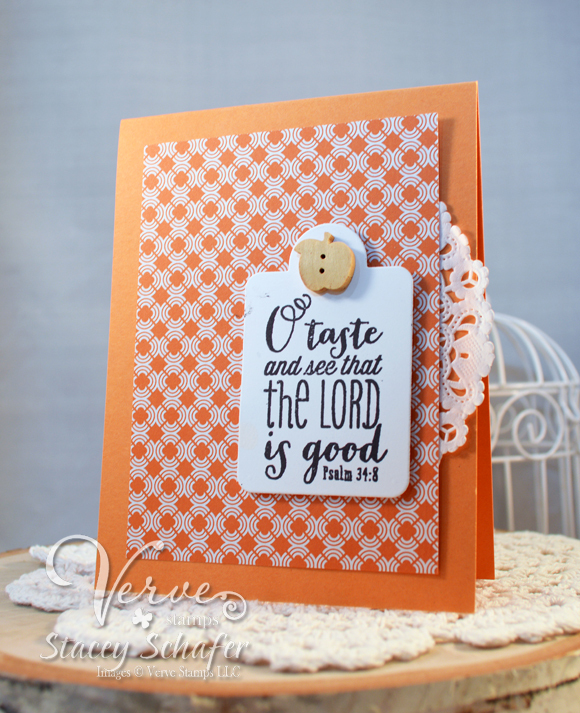 See you tomorrow for another PEEK at the new Verve Stamps release!